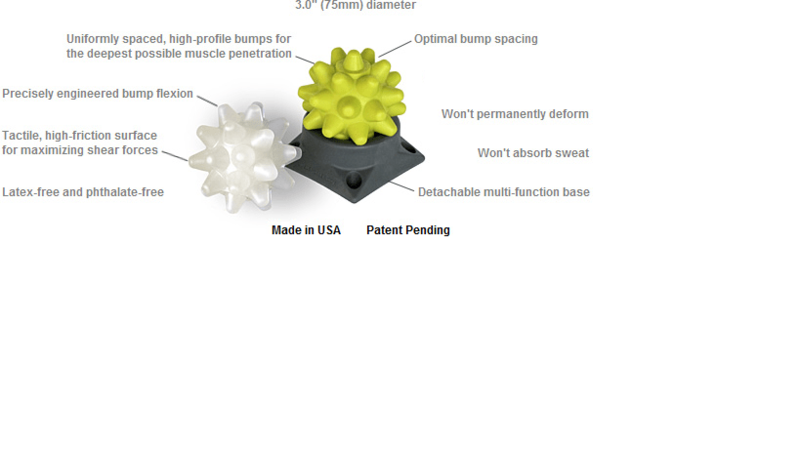 The Beastie Ball Series products don’t replace the RumbleRoller, but they are more specific in purpose. Use them to dig deeper into a troublesome area, or to work with greater detail on smaller muscles – e.g. those of the forearms and calves. Larger balls can be used to massage broad surfaces of your body, but they won’t get into more confined areas (e.g. 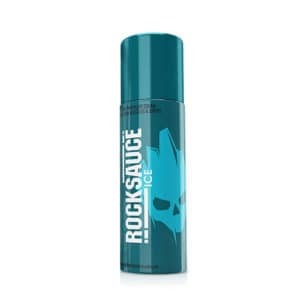 close to your spine) and are too blunt to dig into the muscle. Smaller balls, such as golf balls, are relatively inconvenient to use because they need to be elevated on a block to reach many areas of your body. Balls with very hard surfaces will dig deeper into the muscle, but can also bruise the bone. That makes them less effective than a ball with a more elastic surface. Inflated balls or ones made of foam can’t provide enough localized force for deep-tissue massage, and don’t hold up well to heavier use. Putting bumps on a ball is a step in the right direction, but shallow bumps only provide superficial stimulation and aren’t effective for deep-tissue. Having too few bumps can also be a problem. 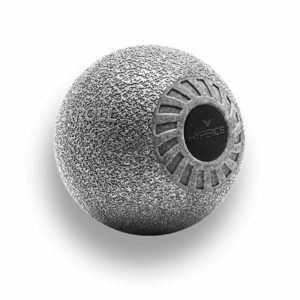 This type of massage ball doesn’t roll, so it’s difficult to reposition when you’re lying on top of it. 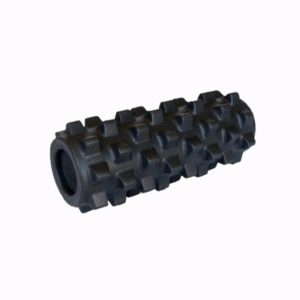 The Beastie Ball is from the makers of RumbleRoller which makes the RumbleRoller the alternative to foam rollers for deep tissue muscular release. 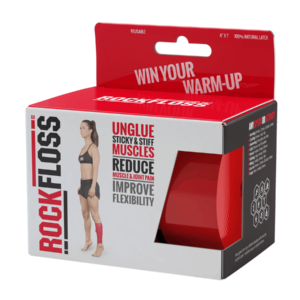 While the RumbleRoller works great over larger areas like the arms, lats, thighs and calfs, there are times where a smaller focus area to get in deep to release muscular knots is called for and this is where the Beastie Ball really shines. 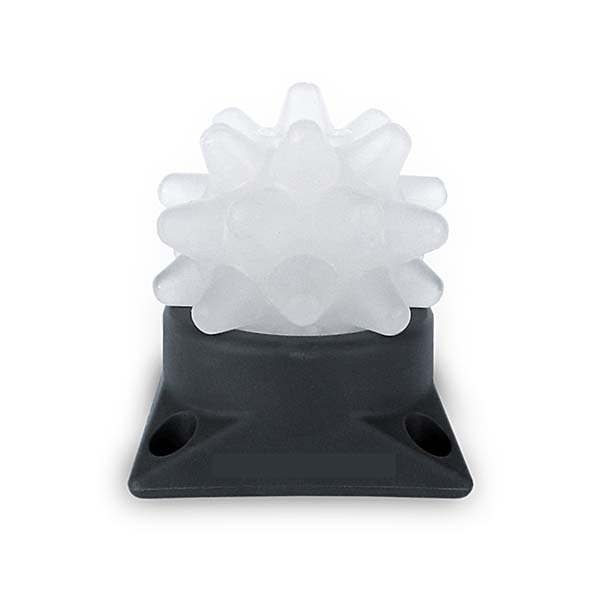 There are alot of massage balls out there but what I like about the Beastie Ball is that it comes with a base that allows you to press the base either against a floor or a wall while targeting very specific muscular tensions that you want to work on with the Beastie. The Beastie comes in two colors the original white which is softer and the yellow which is the harder version. I got the yellow Beastie as I can control the amount of force to work on sore tender spots and just a couple of minutes with the Beastie and the applying some flossing helps me to recover faster, release strains and get back on training again. In addition, being the small compact size it is, I can bring the Beastie even on my travels unlike the RumbleRoller which will take up a fair amount of space. 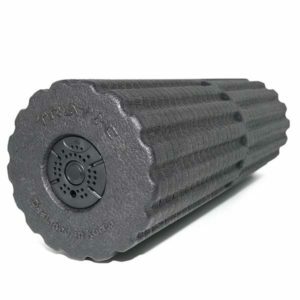 Highly recommend the Beastie if you are serious about your training and recovery. 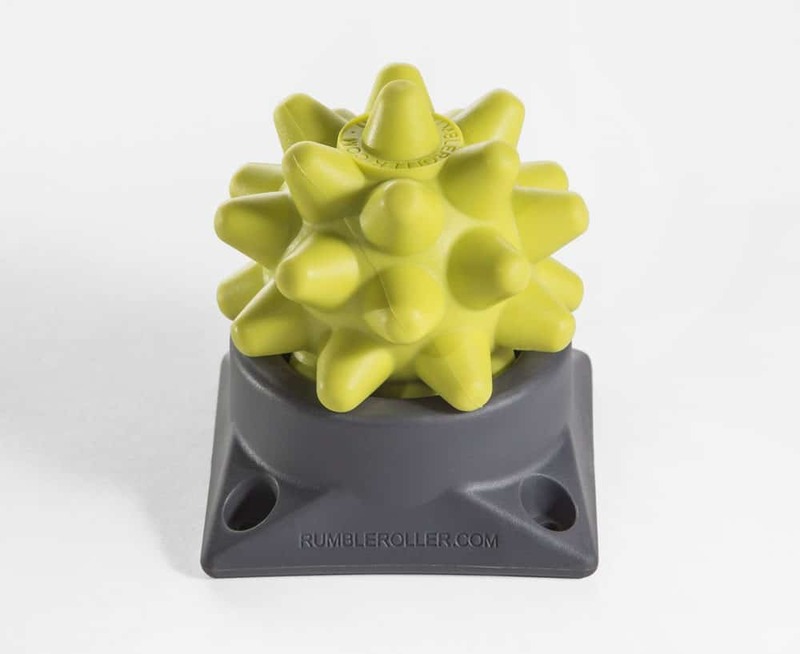 Beastie Ball is from the makers of RumbleRoller which makes the RumbleRoller the alternative to foam rollers for deep tissue muscular release. While the RumbleRoller works great over larger areas like the arms, lats, thighs and calfs, there are times where a smaller focus area to get in deep to release muscular knots is called for and this is where the Beastie Ball really shines. 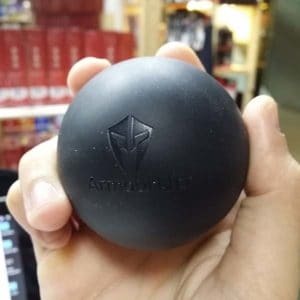 There are alot of massage balls out there but what I like about the Beastie Ball is that it comes with a base that allows you to press the base either against a floor or a wall while targeting very specific muscular tensions that you want to work on with the Beastie. The Beastie comes in two colors the original white which is softer and the yellow which is the harder version. I got the yellow Beastie as I can control the amount of force to work on sore tender spots and just a couple of minutes with the Beastie and the applying some flossing helps me to recover faster, release strains and get back on training again. In addition, being the small compact size it is, I can bring the Beastie even on my travels unlike the RumbleRoller which will take up a fair amount of space. 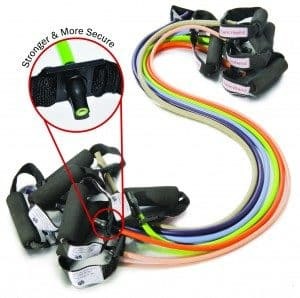 Highly recommend the Beastie if you are serious about your training and recovery.